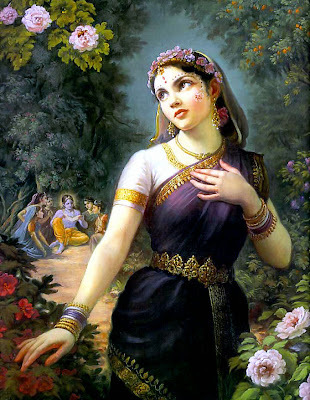 Will surfing through i found this exceptionally elegant and beautiful potrait of Radha with Shri Krishna in the background. I am spellbound by the potrait and hope you will admire it too so without much words I will let it speak for itself. nice pic. i have a tee wid dat kinda print on it. a frnd of mine got it frm a hare krsna temple n gave me. Is anybody ther?? Long time huh.. It's been a hard days night!! This is what i call Electric SHOCK.